Weather in the Dallas area can be unpredictable at times. When strong storms and wind hit the city, your roof is at risk of being damaged. If this happens, your home can end up with water damage, mold growth, and other serious problems. Whether you need repairs, a new roof or routine maintenance to keep your roof in good shape, Acme Roof Systems can provide you with reliable service. You need the best roofing contractor in Dallas to ensure that your roof can protect your home at all times, and that’s just what we’re here for. Whether you’re looking for modest homes with one or two bedrooms or more spacious houses with three or more bedrooms, the City of Dallas, TX has a wide range of homes to fit your needs. The city has a lot to offer homeowners, including a decent cost of living, a variety of amenities and good schools. The average home price in Dallas is around $160,000, which is below the average price of $175,000 in the U.S. overall. Homeowners in the Dallas area can expect to pay about $42 a month for regular home maintenance, which is a highly affordable cost. Dallas has several neighborhoods for homeowners to choose from depending, on what kind of community you’re looking for. Deep Ellum, which sits to the east of the city’s downtown area, has several trendy restaurants, shops, music venues and other amenities available, as well as loft residences and an artsy vibe. The downtown area is home to tons of local businesses and major corporations, but it also makes a great place to live. You’ll find Klyde Warren Park right in the center of this area, along with scenic views of the city and plenty of amenities. White Rock Lake puts homeowners close to water for fishing, boating and more, while Lakewood provides a quiet environment that is still conveniently close to the heart of Dallas. Those who are looking for homes with a more historic flair can find them in Munger Place, located in East Dallas. 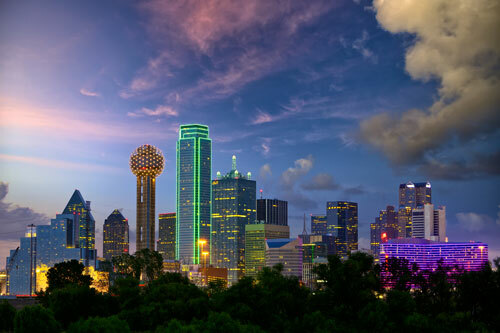 Dallas has something for everyone to enjoy, no matter what your interests are. If you love seeing live performances, Dallas Children’s Theater puts on shows throughout the year. Dallas Summer Musicals gives you a chance to see highly talented actors and actresses performing Broadway musicals, while the Dallas Symphony Orchestra offers an opportunity to see classical music performances, pops concerts and more. Other cultural attractions include the Dallas Museum of Art, African American Museum, and Nasher Sculpture Center. When you want to take advantage of the milder weather, the Dallas Arboretum offers a beautiful place to spend time outside while seeing an impressive collection of trees, plants, and flowers. If you want to have a relaxing time playing golf, even if you’ve never played before, head to TopGolf Dallas for golf games designed for all ages. For a great spot to go bird watching and explore wetlands, make plans to go to White Rock Lake Park, located in the eastern part of the city. Dallas also has many other attractions for residents to enjoy. The world-class Dallas Zoo has animals from around the world to enjoy, while the Dallas World Aquarium lets you admire aquatic species from oceans, rivers, and lakes. For a thrilling time racing cars, head to SpeedZone. This racing theme park features go-kart tracks, along with video games and miniature golf. Other attractions include Medieval Times Dinner and Tournament, Zero Gravity Amusement Park and Texas Discovery Gardens.